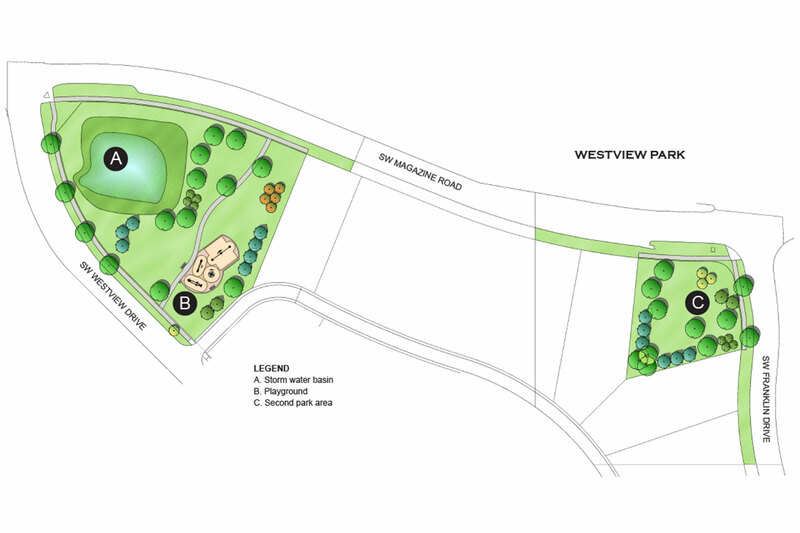 This small neighborhood park provides a play area close to the new Kirkendall Public Library, brownstone condominiums, and single-family homes along SW Magazine Road in Prairie Trail. 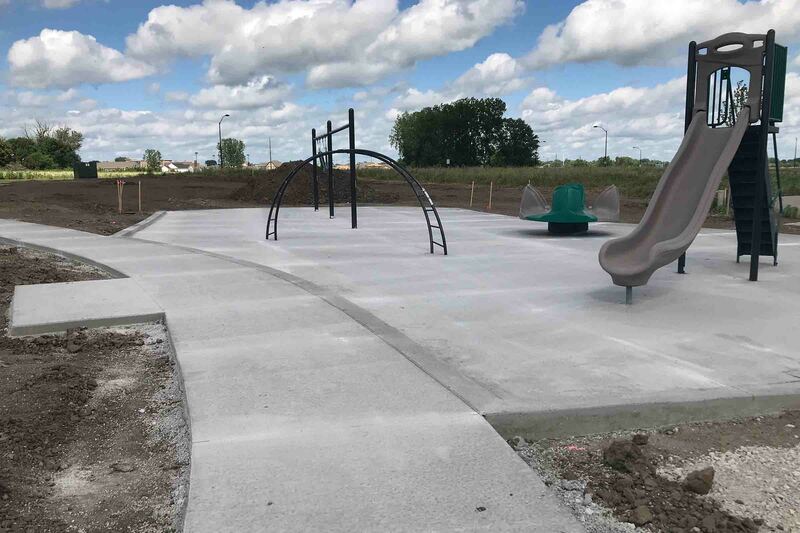 A sidewalk divides the site into two areas: a storm water basin, and a playground with a variety of equipment and poured-in-place rubber surface. The trail and playground are screened by overstory and ornamental trees.